The Under-Secretary-General for Legal Affairs and United Nations Legal Counsel, Mr. Miguel de Serpa Soares, visited the United Republic of Tanzania this week to sign an agreement between the United Nations and the United Republic of Tanzania concerning the headquarters of the Arusha branch of the United Nations Mechanism for International Criminal Tribunals (Mechanism) in Tanzania. Mr. Serpa Soares and the Tanzanian Minister for Foreign Affairs and International Co-operation, Hon. 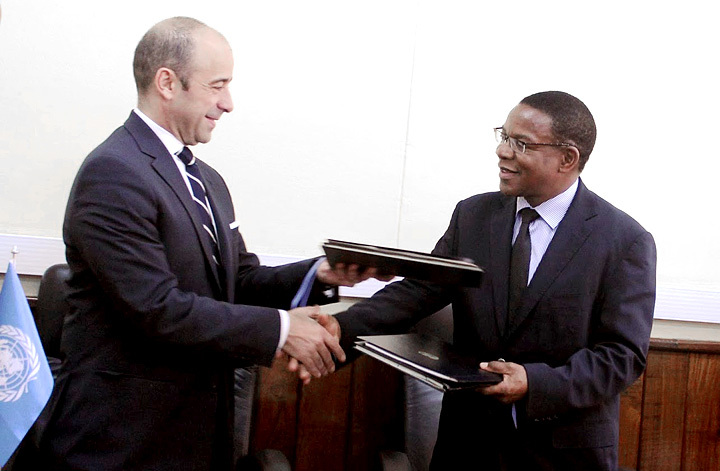 Bernard K. Membe (MP), signed the agreement on 26 November in Dar es Salaam. The Mechanism was represented by the Registrar, Mr. John Hocking. 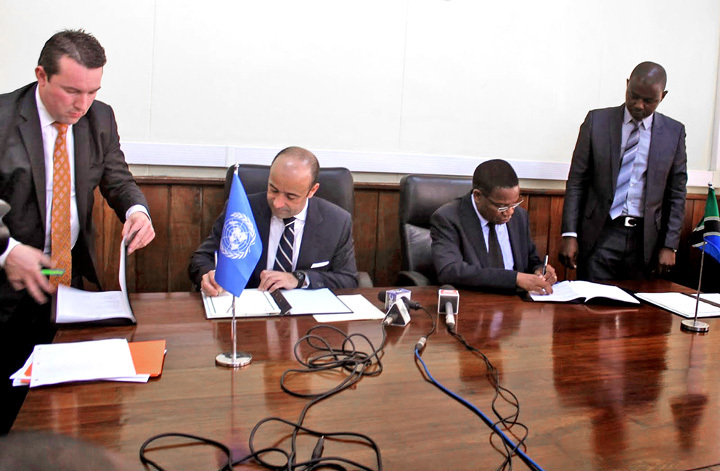 Speaking at the ceremony, Mr. Serpa Soares said that “the signing of this Host Country Agreement reflects the ongoing commitment of the United Nations and the Government of Tanzania to putting in place the foundations necessary to ensure the long-term success of the Residual Mechanism”. In his remarks, Hon. Bernard K. Membe (MP) thanked the United Nations Security Council for selecting Tanzania to host a branch of the Mechanism. On 28 November the Legal Counsel met with the Prosecutor of the International Criminal Tribunal for Rwanda (ICTR) and the Mechanism, Mr. Hassan Jallow, the ICTR Registrar, Mr. Bongani Majola, the Mechanism Registrar and other senior officials of the two institutions in Arusha. He also toured the premises to meet and greet staff and addressed the staff of the Kigali office. 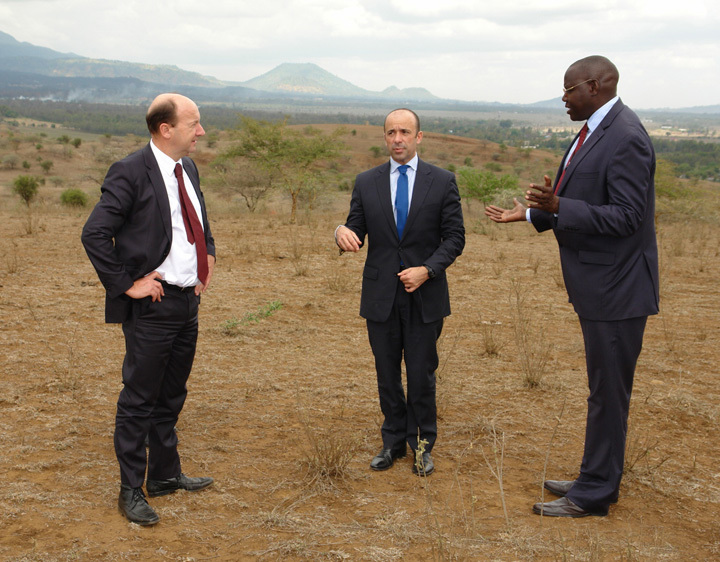 In addition Mr. Serpa Soares paid a visit to the Lakilaki site which the Government of Tanzania has provided for the construction of the new premises of the Mechanism, and to the United Nations Detention Facility, where ICTR and Mechanism detainees are in custody. The Mechanism is mandated to continue the jurisdiction, rights and obligations and essential functions of the International Criminal Tribunal for the former Yugoslavia and the ICTR. The Mechanism opened its Arusha branch on 1 July 2012 and its Hague branch on 1 July 2013.